I’ve been through half a dozen real estate transactions as both buyer and seller, in additions to hundreds of open-houses and just as many conversations. All of the realtors (well the majority of them) provided the standard characteristics you expect in a realtor; knowledgeable about the area and real estate trends, timely communications, maybe some good sales training, and utilizing the latest tech. All good stuff. Kristin brings all of those characteristics to the table at the highest level, but she demonstrated something more with my latest transaction – she put me, the customer first. She put me first during the initial screening discussions, she put me first regarding the go-to-market strategy and pricing and most unexpectedly, she put me first during the final sale negotiations. 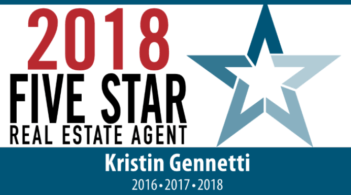 How often does a salesperson in any field demonstrate that they truly put the customers needs first – superb job Kristin Gennetti !! !